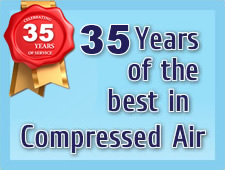 This statement covers the services provided by the aipcompressors.co.uk. The purpose of this statement is to inform users of aipcompressors.co.uk, which is managed by AIP Compressors Ltd, about what information is collected about them when they visit this site, how this information is used, if it is disclosed and the ways in which we protect users’ privacy. You have a right to access the personal information we hold about you at any time. If you wish to do this, please put your request in writing (explaining that your interest is in aipcompressors.co.uk) to AIP Compressor Services Ltd, Logic Works, Dewsbury Road, Ossett, West Yorkshire, WF5 9QF. If you sign up to receive Newsletters from aipcompressors.co.uk we will use the information you give us to provide the service(s) you have requested. We may occasionally contact subscribers to help us evaluate and improve the service that we offer. We sometimes use a number of suppliers who may also set cookies on their websites’ on its behalf. aipcompressors.co.uk does not control the dissemination of these cookies. You should check the third party websites for more information about these. Log files allow us to record visitors' use of the site. The aipcompressors.co.uk Web Team puts together log file information from all our visitors, which we use to make improvements to the layout of the site and to the information in it, based on the way that visitors move around it. Log files do not contain any personal information about you. Our website contains links to other sites. AIP Compressors Ltd is not responsible for the privacy practices within any of these other sites. You should be aware of this when you leave aipcompressors.co.uk and we encourage you to read the privacy statements on other websites you visit.